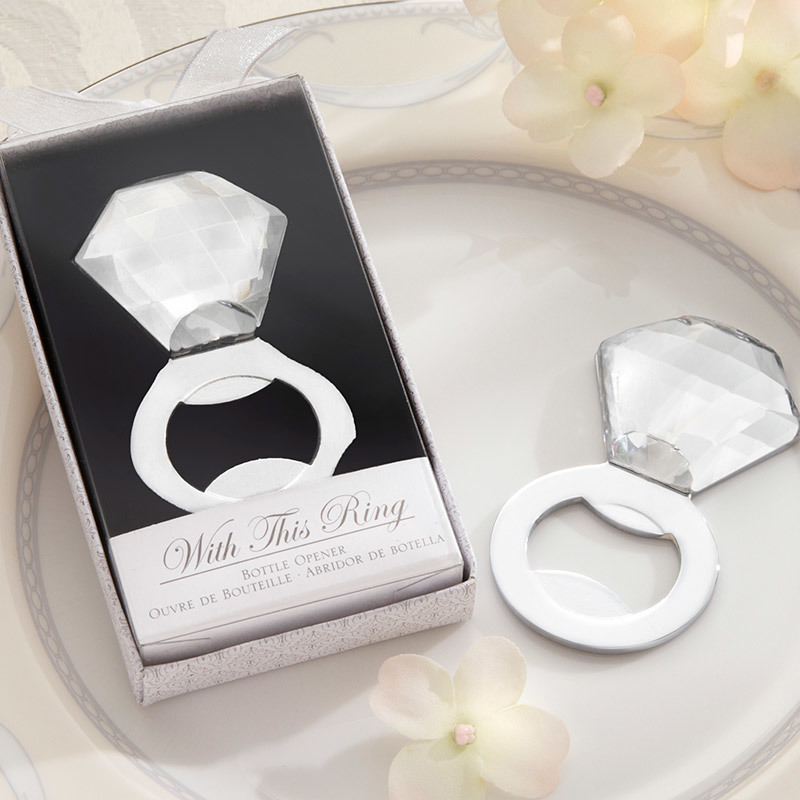 Acrylic-diamond decoration atop a silver-metal, ring-shaped bottle opener. Bottle opener measures 1 5/8" h x 1 3/8" w.
Gift box includes clear lid on a white-cardboard base with subtle, intricate design and a white-organza bow at the top. Gift presentation measures approximately 3 3/4" h x 2" w x 3/4" d.